Combat sports can be tackled by boys and girls! Wing Chun, practised in over 64 countries, is the world’s most popular form of southern kung fu. It is a concept-based Chinese martial art and a form of self-defence that uses striking and grappling techniques. Bruce Lee is one of the most popular martial artists in Wing Chun history, after hee popularized Wing Chun by basing his style on the martial art. Your children can learn this great activity for kids from a young age! These young Wing Chun students will get your kids excited about martial arts! Is Wing Chun right for your kids? Self defence is just one of the benefits of engaging your child or toddler in martial arts training. Your child will learn and develop a number of important skills while learning Wing Chun for kids. Wing Chun and other self-defence classes are recommended to address bullying in kids. Self-defence classes not only teach children to be able to defend themselves and their peers, they can also help those with bullying tendencies to learn about respect and managing their emotions, particularly anger. Get your kids to learn Wing Chun! Wing Chun is usually taught in martial arts schools that offer Kung Fu for kids. Be sure to choose the right school with a friendly, safe, and encouraging environment and round the clock supervision. As they progress through their belts, your children will feel a sense of accomplishment, improving the way they feel about themselves in the short and long term. To make sure that you are enrolling your kids in a recognised school, it is important to check that it is accredited by an organisation. Most schools will provide the martial arts supplies and martial arts uniforms your child will need, and others will just require you to provide comfortable clothing for your child to participate in. If you are looking for an alternative to Wing Chun, why not think about karate for kids? 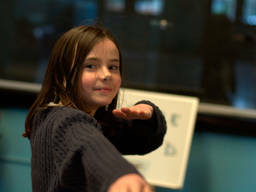 If you are opting for a softer martial art, then try tai chi for kids. Visit our ActiveActivities directory for more information and tips on martial arts for kids and other kids activities. Lead your kids to the path of active and healthy lifestyle. Enrol them to Wing Chun for kids!